3D Bioprinting – from Science Fiction to Reality? After over 15 years of research and development in academia and industry, several main applications of 3D bioprinting technology are ready to be realised. In IDTechEx’s new report 3D Bioprinting 2017 – 2027: Technologies, Markets, Forecasts, the global 3D bioprinting market is predicted to experience a period of high growth to reach a size of $1.8 billion by the year 2027. In the short term, the next few years are set to be an exciting time of rapid expansion for the 3D bioprinting industry. Commercial interest in 3D bioprinting has risen greatly – already the first four months of 2017 has seen the release of three new affordable 3D bioprinters from manufacturers Aether, BioBots, and Cellink. Over the past year, 3D bioprinting service bureaus have experienced significant growth and are partnering with several multi-national corporations in the consumer products and pharmaceutical industries. IDTechEx report contextualises these activities, and discusses the key drivers of the 3D bioprinting industry as well as providing insight into the market trends observed. 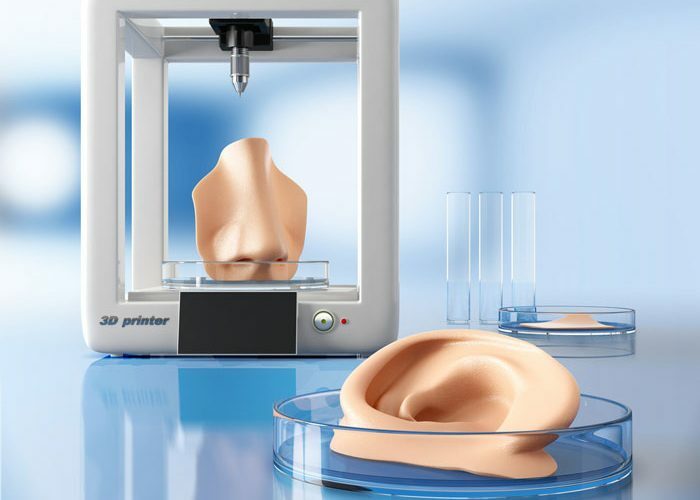 One such market trend is the increasing versatility of 3D bioprinters. Users can now easily incorporate several 3D bioprinting technologies into their construct without involving a second or third machine. IDTechEx’s new report profiles and benchmarks the four main 3D bioprinting technologies of inkjet, extrusion, laser-induced forward transfer, and microvalve printheads.